Great for promotional advertising, bookmarks are a unique way to give your marketing message staying power. Bookmarks are available in two sizes and a variety of paper choices. Our bookmark printing is eco-friendly, using soy-base inks which emit less volatile organic compounds (VOC) during our green printing process. 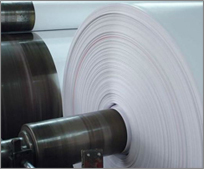 Pricing varies based on order method, paper type, backside printing, coatings, rounded corners, etc. 3 Additional Business Days -- Recycled & 16pt Matte Paper and/or Rounded Corners.